We have to read and understand 013. 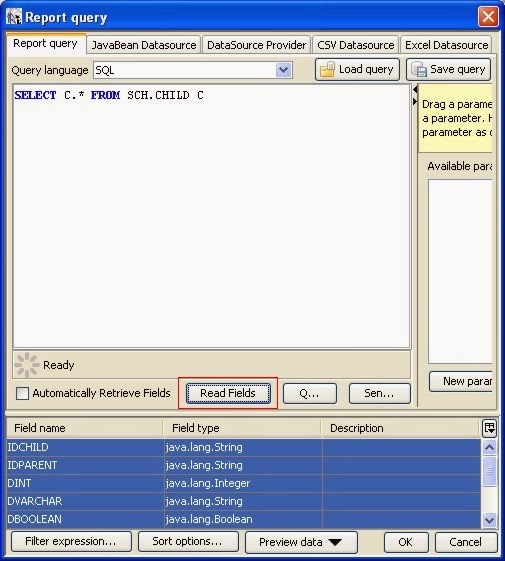 SETTING DATABASE CONNECTION. 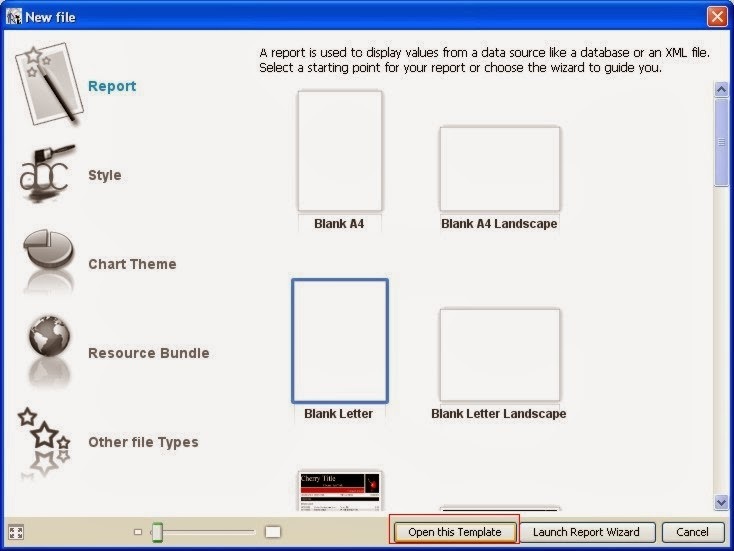 This tutorial using iReport 4.1.1. We will see a dialog that we have created it. Click Read Fields button. The fields will be shown below. All of Fields will be shown in Report Inspector tab -> Fields node. Select all fields, then drag them to Detail band. 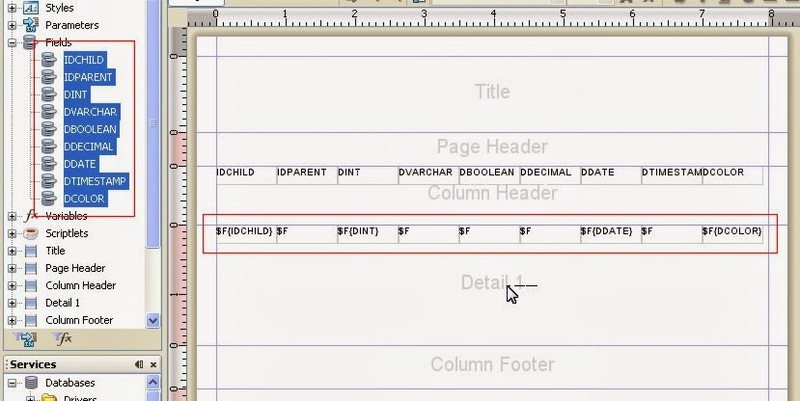 Fit the Detail height, by double click the bottom line of Detail band. 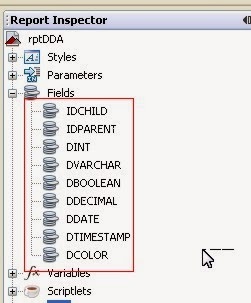 Select all object within Detail band and Column Header band. 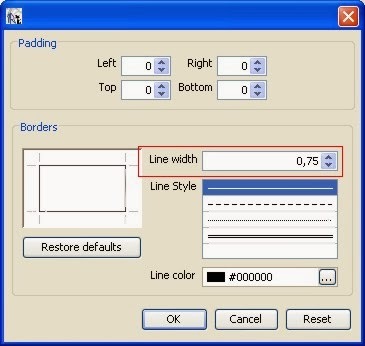 Right click them, select Padding and Borders. Set the Line width, then OK.
We know, it doesn't look like an interesting report. Remember, these steps are for white-belt.